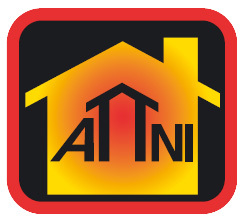 ATTNI is a Mid-Ulster based company that offers a professional, friendly and helpful service to our customers. As members of BINDT (British Institute of Non-Destructive Testing) we are able to carry out air pressure testing without the presence of building control personnel. Our testing complies with building regulations part F1A and is carried out to ATTMA TS1 standards using our UKAS calibrated equipment. We offer a comprehensive service to assist in the implementation of the new regulations laid out in building regulations F1A. Our aim is to help you reach the design air permeability standard that is set out in your SAP calculations. Flexible hours can be arranged to suit your needs, including evenings and weekends, to fit around your schedule of works.